We come from Nature and as such are still subject to the changes that occur around us. In fact, when we look closely, we find that those changes also occur on a subtle level within us, and when we align ourselves with this inner and outer wisdom, the wisdom of Nature, we find greater balance, harmony and health in our lives. Autumn is the season where we begin to transition into the deep introspective and restful season of winter. In Autumn we prepare for this ‘going inwards’ through nourishing and grounding ourselves, and letting go. Autumn is the season where everything, including your immune system, begins to slow down. You and your family start to get colds and flu, and feel less inclined to go out and socialise. You might feel more tired, your skin and mucous membranes feel dry, and your appetite for warm, nourishing foods increases. 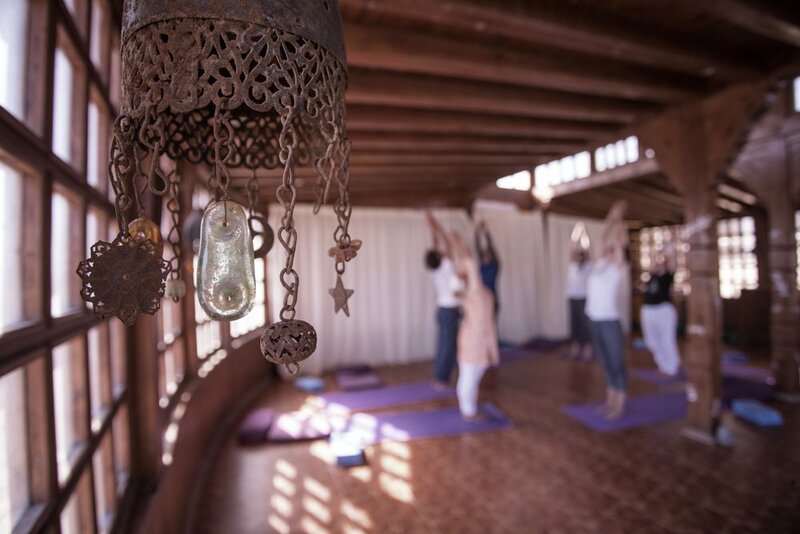 This retreat is a valuable opportunity to both kick-start your immune system through daily yoga, meditation, plenty of rest and time in Nature, but also arm yourself with knowledge and practical tips on daily wellness routines that will keep your immunity high, and your systems balanced as you go through this key transitional season - from the high extroverted energy of summer, back to the slower, more introverted energy of winter. If you’re someone who struggles with the diminishing light of winter, longer nights, and colder weather, or even suffer from SAD (seasonal effective disorder), then give yourself the gift of this retreat. It is through knowledge and awareness that we can shift our reaction to things outside of our control, which we resist or struggle with, and through small practical shifts in our daily behaviour that we can empower ourselves to remain balanced and healthy through all the seasons. During this yoga retreat Sara and Jean Philippe will guide you through physical and energetic practices, and traditional wisdom from yogic theory and Ayurveda lifestyle practices, to awaken your own awareness as to the unique challenges and benefits of Autumn, to guide you into a process of loving self-care, including basic nutrition and meditation. You will leave not only refreshed and ready for this new season, but armed with essential information about how to actively make Autumn a season of deep healing and inner transformation for yourself. 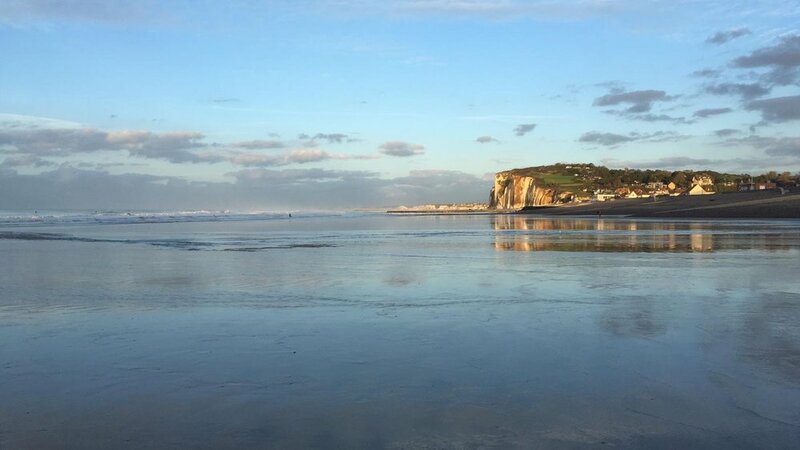 We will stay at the beautiful, newly refurbished Ermitage de Pourville, a stunning 19th century former hermitage/monastery on the beautiful and wild Normandy coast. Accommodation will be in generous and comfortable shared rooms, tastefully decorated in muted, natural tones, and warm, cosy furnishings, each with a private bathroom. Meals will be served twice daily, with brunch after the morning practice, and an evening meal around sunset. There will be fruit and drinks available at all times. 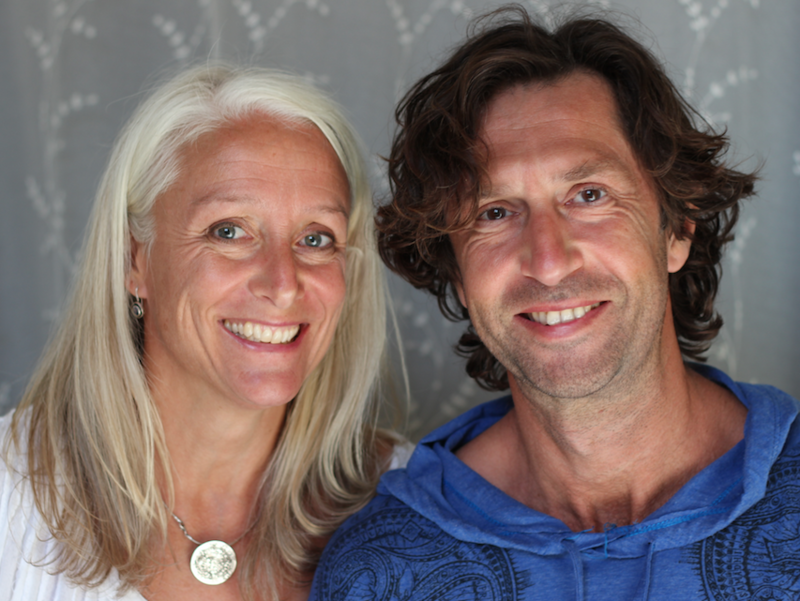 Sara and Jean Philippe have a combined teaching experience of over 40 years, with complementary practices in Kundalini, Sivananda, Sampoorna, Vinyasa, Hatha yoga, as well as many yogic and buddhist meditation traditions. 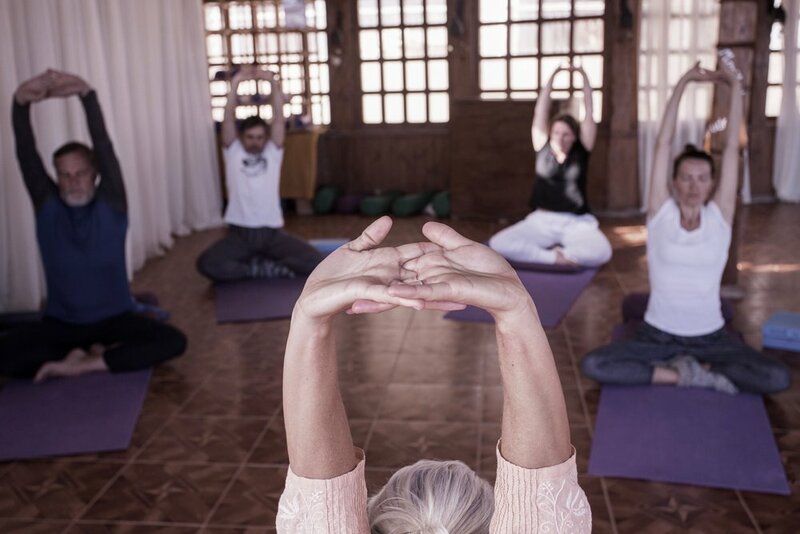 Teaching together, they offer retreat students an opportunity to deepen both their practice of traditional yogic disciplines, and their understanding and knowledge of these ancient wisdom-based traditions. Their focus is always on meeting the student where they are, to offer an experience that is enriching, nourishing and replenishing - noone should ever leave a retreat feeling depleted. Note that teaching will be in French and English and simultaneous translation for both languages will be provided if it’s necessary. Pourville is a beautiful little village set on the rugged and breathtakingly beautiful Normandy coastline. The ‘Ermitage’ is close to the historical village of Varengeville, once home to Krishnamurti as well as countless artists and writers who took advantage of its quietly inspiring beauty. Its church is worth a visit for the reknowned window designed by Braques, and also close by are the Manoir d'Ango, a castle from the time of King François the First, and the stunning botanical park of Bois des Moutiers. For the ocean lovers, there is plenty of free time to enjoy the beach and the water. The sea in August is a fresh but pleasant 19/20°, lovely for a swim to cool off after yoga practice, or to refresh at the end of the day. There are also options for surfing, kitesurfing and we will advise on the local tides for those who wish to be more active. You can rent body boards, or even take a boat trip for a few hours. The long, shallow beach also lends itself to walks in the sea at any time and of course the entire area is ideal for sunbathing, reading and relaxing. Away from the sea, there are some beautiful walks along the cliffs and hillsides, and we recommend visiting some of the typical local villages, which are dotted with well-kept and beautifully cultivated parks and gardens. The Ermitage has bicycles for the use of guests to explore a little further than on foot, and for those who want a bit of fun, just 2k away is a mini golf range. 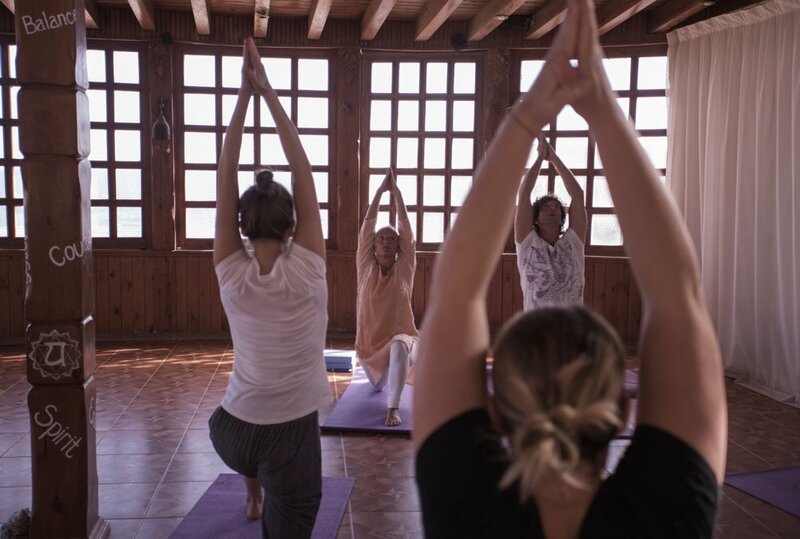 Finally, always a favourite on yoga retreats, are body treatments and therapies. Isabelle, who lives close to the Ermitage is a trained and gifted reflexologist, and there are also other options for massage (booking in advance is necessary). In order to secure your place we require a small non-refundable deposit of £175. As soon as we receive this we will contact you directly with further information regarding the retreat, payment of the final balance and anything else you might need to know. If you have any questions regarding this retreat, or any of our other events, please do not hesitate to contact us directly via email. Sara Campbell has been guiding people to discover their depths since long before becoming a world champion freediver. Her journey of self-healing from severe stress-related illness led her to become a Kundalini yoga teacher and ultimately brought her to a new life in the ocean. Here she truly began exploring the concepts of life, happiness, success and failure, and how to reach our human potential, both in and out of the water, on and off the mat. Sara looks to nature for the wisdom that it can impart, and how we can learn to live more in balance with ourselves and our surroundings. Jean Philippe has been teaching gentle integrative and holistic yoga with a focus on therapeutic and restorative application (based on certifications in Sivananda, Sampoorna, Iyengar, Hatha and Vinyasa Flow) and meditation practice (Samatha, Vipassna, Dzogchen and Mahamudra) for over 20 years. Through his extensive experience he works intuitively with each student to guide them from where they are in the current moment, to a deeper awareness of the effects of conscious breath, integrated with the body and mind for an experience of deep relaxation, peace and connection.